How to Train Your Dragon 3 - with MomoCon! Join us in your best costume (or just as you are) for opening night of How To Train Your Dragon 3, featuring giveaways, cosplay, festivities, and special before the movie events! -Raffle for FREE 4-day MomoCon memberships! -Come in cosplay, get a discount coupon good for MomoCon 4-day memberships for 2019! -Extra bonus MomoCon Cyberpunk poster, first printing! -VIP reserved seating, best in the theater! -Exclusive VIP only raffle for signed, numbered HTTYD 3 poster, signed by Jay Baruchel and directors of HTTYD 3! Parking: Atlantic Station parking is free for the first 2 hours and an additional hour when visiting the Regal cinema! Just get your ticket stamped inside! Cosplay: Cosplay is not only permitted, it's encouraged! The only restriction is no weapon props or full face coverings (they will have to be removed inside Regal Atlantic Station theater at all times, per theater rules). 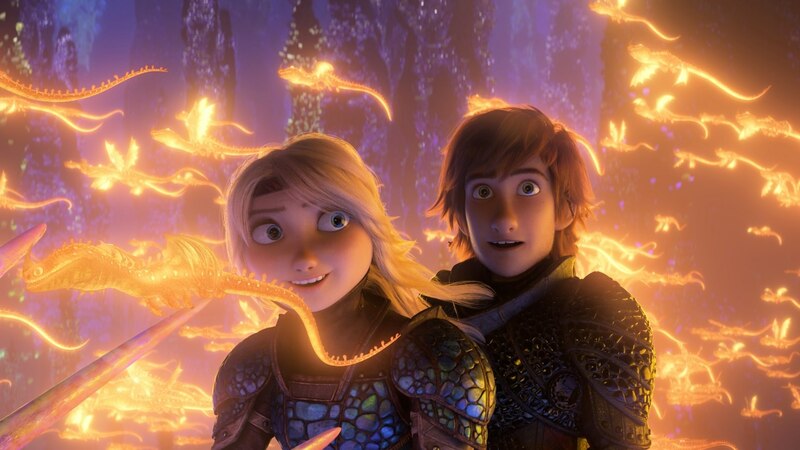 Come in HTTYD cosplay and receive a coupon good for discounts on MomoCon 2019 memberships! That is, if you don't already WIN one in our multiple raffles! © 2019 ShowClix on behalf of MomoCon LLC. All sales are final. Tickets are non-refundable.